The development of the European Open Science Cloud (EOSC) has begun. But how can libraries get involved and how can they support open science? 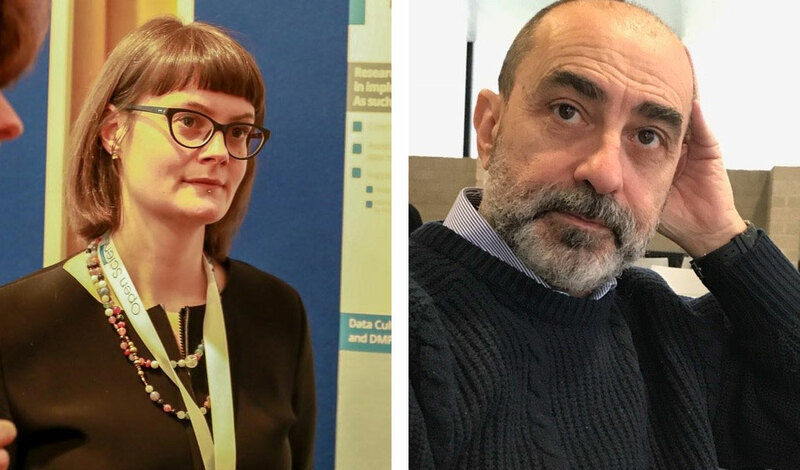 In an interview Ilaria Fava and Valentino Cavalli report about the possibilities and the role of the EOSCpilot project. The European Open Science Cloud (EOSC) is to be established as a central infrastructure for open science in Europe. It is therefore important for libraries and other infrastructure institutions to know what role they can play in this context and how they can already become involved in the course of development. The development of the EOSC is flanked by projects such as EOSCpilot. Ilaria Fava and Valentina Cavalli report on the opportunities for libraries to participate and how they can promote open science. What are the goals of the EOSCpilot project? The EOSCpilot is a two-year EC project to support the first phase in the development of the European Open Science Cloud (EOSC). The EOSCpilot project is working on the definition of the governance framework for the EOSC and is contributing to the development of relevant policies and best practice. The EOSCpilot project funded 15 Science Demonstrators to showcase how real and mature research communities in a wide range of domains could use the services to be provided by EOSC to enhance their research projects with additional storage, HPC and cloud facilities, and so on). In addition to this, the project aims at engaging with a broad range of stakeholders, crossing borders and communities, to build the trust and skills required for adoption of an open approach to scientific research. How are you involved in this project? LIBER is the association of research libraries in Europe and is a natural advocate of research libraries within the project! The Göttingen State and University Library provides a link with the long tail of science in the project and is by its nature a library with an active relationship with researchers’ communities and needs. What role do research libraries play in developing the EOSC? The EOSC will engage with many different stakeholders in different roles and aspects of the EOSC development. Research libraries are important stakeholders in that they mediate between researchers and service providers, in dissemination of the EOSC and enable researchers to participate in the EOSC. Research libraries participate in the EOSC pilot directly, as is the case with UGOE, and via LIBER. How are the FAIR principles connected to this? FAIR principles guide the implementation of more transparent research. Research libraries are at the forefront in promoting transparency in various forms across the whole research cycle, supporting Open Access, Open Science and FAIRness of research artefacts. In their capacity to promote data stewardship they help researchers in making their research outputs FAIR and make those outputs available through the EOSC. What should research libraries do to promote data management and the FAIR principles? What new services should be provided? Last year, LIBER released a document called “Implementing FAIR Data Principles: the Role of Libraries”, which provides some useful starting tips for research libraries to deal with the FAIR principles and to include them in their culture of openness. Amongst the number of things libraries should do to promote the adoption of the FAIR principles, we can name: incorporation of the FAIR principles in Data Management Plans and digital preservation practices and policies; data curation, enrichment and preservation to aid in making data findable, accessible, interoperable and reusable; training librarians on disciplinary metadata, vocabularies and tools to make data FAIR and thus assist researchers in their quest for openness, encouraging them to deposit data with archives that embody the FAIR principles. What can research libraries do to convince researchers to use the EOSC? The EOSC will provide a common platform for researchers to find, access, and use research data and services from multiple disciplines. Research libraries will support and enable researchers in the development and provision of a core data infrastructure for their research. Libraries should promote the EOSC as the way to advance and move forward research in an international framework. They have the crucial role of making researchers ready for joining the EOSC by providing them with the skills and the knowledge needed to benefit from Open Science and the EOSC. Where could research libraries themselves get support to fulfill their new role? Open Science has been high on the agenda of research libraries for some time and is there to stay. Research libraries have a role to play in building the EOSC and supporting its take up. They can do so with appropriate support from the institutions they belong to and by aligning their strategic objectives towards the EOSC with research departments. In this respect, LIBER is committed to supporting its member institutions to deal with this challenge; the Göttingen State and University Library will keep on raising awareness on Open Science and its opportunities for better research. Our questions were answered by Ilaria Fava and Valentino Cavalli. Valentino holds a certificate in Business Development and a Master´s Degree in Philosophy from the University of Urbino. He started his career with Omega, an innovative software start-up in Italy and moved to the Netherlands in 1999, where he worked for many years at the Trans-European Research and Education Networking Association (TERENA/GÉANT). He left in 2016 after a few years in the position of acting Secretary General. Valentino is the chair of the Board of Trustees of the Vietsch Foundation, a fund to support the development of internet technology for scientific research and higher education. Valentino works currently as Open Science officer at LIBER (Association of European Research Libraries), where he is responsible for project management, community engagement, and contribution to policies in support and development of Open Science. Ilaria is a librarian by training and has always been passionate about Open Access and Open Science. She is currently working at the Göttingen State and University Library as project officer for OpenAIRE and RDA Europe, where she supports the network management, and EOSCpilot, of course.